There are few things more important to pro athletes than safeguarding the ability to play their sports. 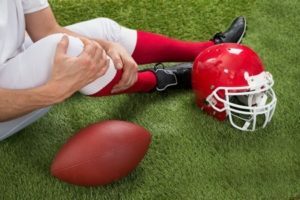 If an injury occurs, the first question is usually, “Will I still be able to play?” In the past, many injuries required invasive treatments that forced players onto the bench for months at a time. All of that has changed now thanks to the evolution of platelet-rich plasma. Famous and respected athletes like Troy Polamalu, Peyton Manning, and Hines Ward have all utilized the potent healing potential of PRP to treat their injuries quickly and effectively. Even if you’re not a pro athlete, you can still receive PRP treatments for your own injuries by visiting Dr. Bennett at Bennett Orthopedics and Sportsmedicine in Sarasota, Florida. 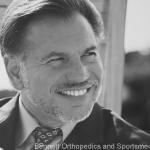 Dr. Bennett specializes in using PRP to accelerate and enhance the body’s natural healing processes. How Does PRP Stimulate Healing? PRP consists of concentrated blood platelets suspended in plasma. This formulation is drawn and processed from a patient’s own blood and injected into the injured area. Platelets contain potent growth factors and proteins that trigger accelerated healing to injured areas in a way the body can’t naturally achieve. Thanks to its ability to deliver results quickly and naturally, PRP has become a popular option among injured NFL players. In 2015, New York Jets player Matt Forte injured his right knee during play. It required surgery, but he still used PRP to improve his healing outcome and accelerate this surgery recovery process. Troy Polamalu of the Pittsburgh Steelers also used PRP therapy after a strained calf injury left him playing at a compromised level. His PRP treatments supported ongoing healing so his calf injury no longer impacted his ability to make game-changing touchdowns. Other famous NFL figures have also used PRP to treat spinal injuries, shoulder injuries, and fractures. Unlike the traditional treatment route involving surgery and rehabilitation with physical therapy, PRP treatments make it possible for injured NFL players to return to the field faster and with a decreased risk of recurring injuries. Dr. Bennett offers cutting-edge PRP treatments to help weekend warriors and professional athletes alike continue to play the games they love without as much pain. Call (941) 229-1648 to schedule your PRP treatment at Bennett Orthopedics and Sportsmedicine today.